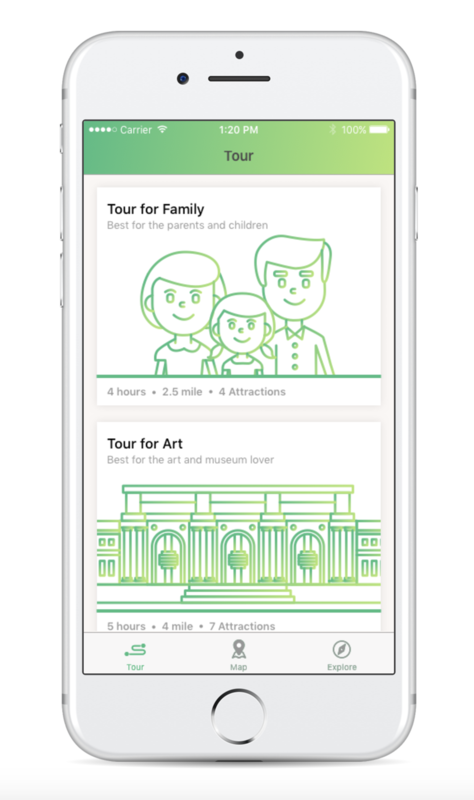 In this final presentation, we redesign the icons and the tour packages graphics to make our app more attractive and clear. 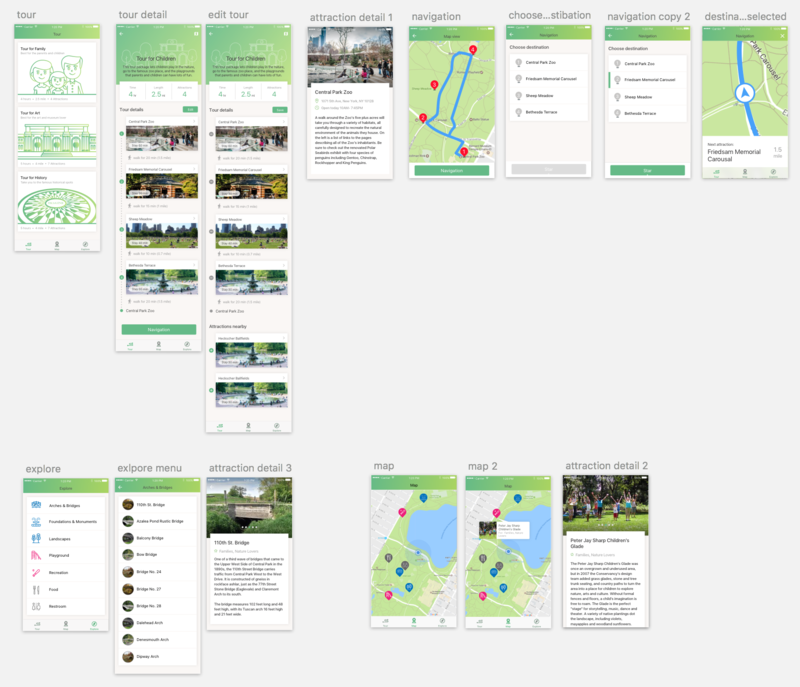 For the flow in iPhone, the most thing we have changed is make the hierarchy clear in the tour package. Clearly states the distance and time people would have spend in each tour. Also, We get rid off the function of bike riding. 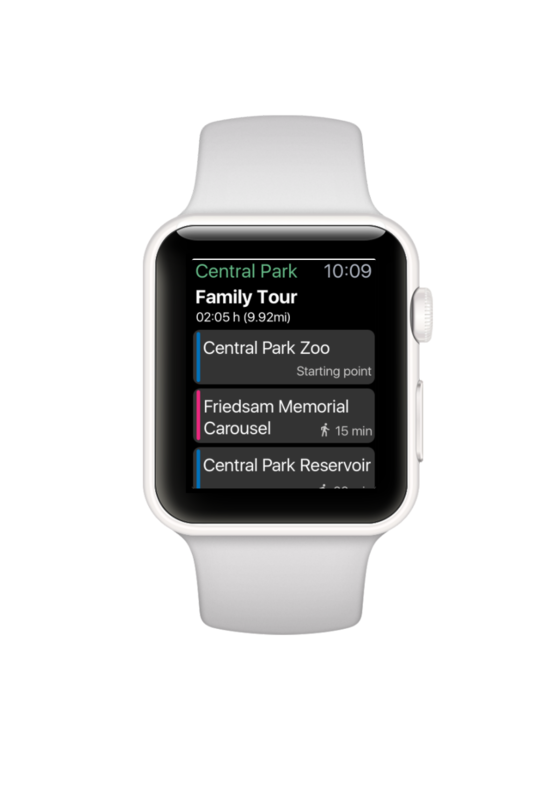 We replaced it to the function of exploring the central park by categories. And what’s more, we have the function of map which can show where you are, and what are the things nearby. 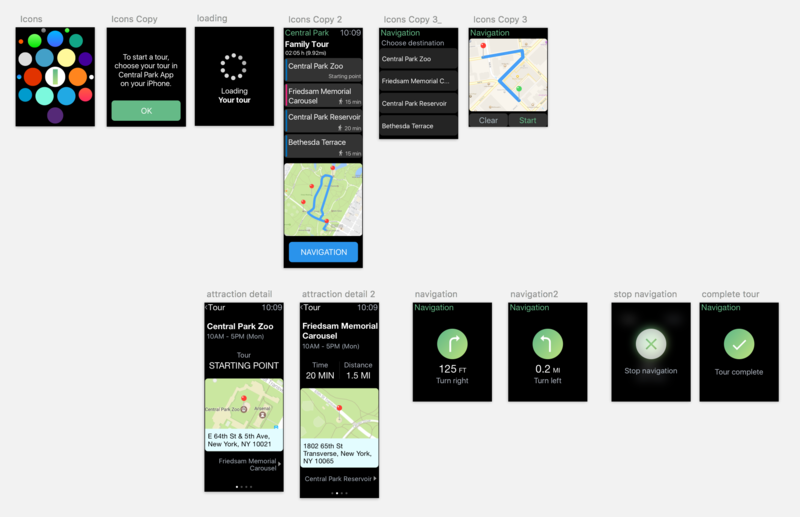 For the flow in Apple Watch, we get rid of the order number of the graphics and add the next stop under the bottom of the map. Also, we made the navigation bar clearer in words. Is that possible to save the plan already done?